Looking for a great way to introduce young children to develop a love of learning? 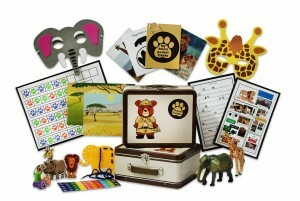 Animal Trackers Club is a great subscription program that is geared to children ages 3 and up. I would say it is perfect for ages 3-7. 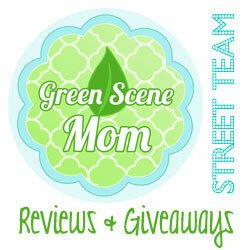 We recently received sample boxes to review and I just love all the things it includes. My 11-year-old son is a little too old but my 4-year-old nephew loved it. He especially loved that it includes toy animal figures. It really is great for pre-readers and beginning readers. The Animal Trackers Club delivers a package in the mail to children each month and only costs $11.95 per month plus $3 shipping. It really includes so much for this price! There are activities that are so much fun to do! Your child will enjoy the fun things to learn on an African Safari adventure to track and learn about a variety of amazing animals. They will be introduced to Bode Bear who is the fun character guide. A Must-Have for pre-school age children! Check out the website, for more information. Self Disclosure: I received free samples to facilitate this feature post. Highly-Anticipated Third Season of Emmy Award-Winning Series Launches April 2015 on PBS KIDS (Check Local Listings) or Watch Online. SciGirls is in the house! And on the street, at the beach and in the park. From their own backyards to a NASA research center, the bright, relatable, real girls featured on the groundbreaking PBS series are seriously into science, technology, engineering and math, or STEM. And Season Three of SciGirls finds these STEM adventurers tracking toads, counting clouds and much more, all in the name of citizen science. The brand-new season of the Emmy-winning show, featuring six stand-out episodes, debuts April 2015 on PBS KIDS (check local listings) and online at http://pbskids.org/scigirls. Citizen science is the hottest new STEM frontier that engages the general public –and kids! – in real science. Scientists worldwide invite ordinary people—like the SciGirls—to observe and record data about everything from birds to beaches, monarch butterflies to maple trees. 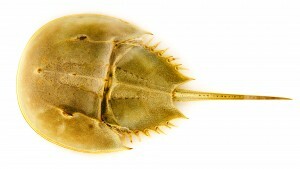 The data is then shared with scientists, who use it to generate new scientific knowledge. In six exciting new episodes, middle school girls and their female STEM professional mentors hit the great outdoors, cataloging frog calls, tracking the changing seasons, verifying satellite imagery of clouds, monitoring fragile butterfly populations, improving urban bird habitats, and advocating for healthy oceans. In addition, animated characters Izzie and Jake are back and finding themselves in sticky situations that can only be solved by STEM—and the SciGirls. When the SciGirls share their data with professional scientists, they save the day for Izzie and Jake and help save the environment! And since all citizen scientists are on-the-go, the series that snagged a “New Approaches” Daytime Emmy Award is unleashing mobile-friendly web upgrades on http://pbskids.org/scigirls that let kids play new games, watch episodes and videos, and connect with fellow STEM explorers anywhere, anytime. The third season of SciGirls, the show Parenting Magazine calls “cool stuff” and the New York Times says makes science “downright enjoyable,” brings even more inspirational, authentic hands-on science content to girls from coast-to-coast, turning STEM viewers everywhere into STEM doers. Every girl can be a SciGirl – and a citizen scientist! The SciGirls creative team is headed by Twin Cities Public Television’s Director of Science Content Richard Hudson, Executive Producer of the long-running PBS children’s science series Newton’s Apple and creator of DragonflyTV and the SciGirls initiative. Animation is created by Soup2Nuts, producers of PBS’ WordGirl. Gaming and mobile website is developed by Curious Media. SciGirls is made possible by a major grant from the National Science Foundation. Additional funding is provided by INFOR, Northrop Grumman Foundation, and PPG Industries Foundation. The mission of TPT is to “enrich lives and strengthen our community through the power of media.” As one of the nation’s leading public media organizations, TPT uses television, interactive media and community engagement to advance education, culture and citizenship. Over its 50 plus year history, TPT has been recognized for its innovation and creativity with numerous awards, including Peabody awards and national and regional Emmys. Watch SciGirls on pbskids.org, follow SciGirls on Facebook and @SciGirls on Twitter. Self Disclosure: No compensation was received to post. I will be receiving some cool swag. 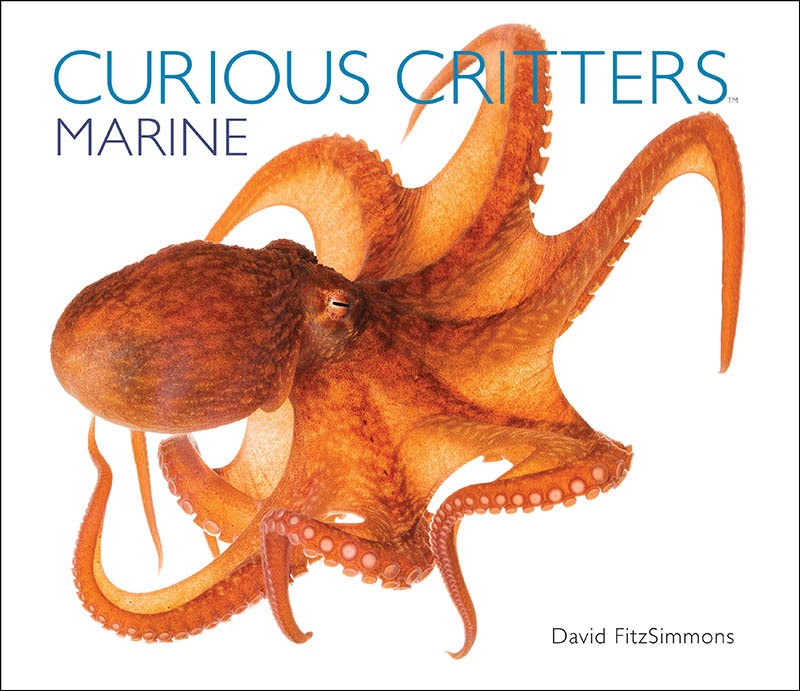 Children Go Face-to-Face with a Giant Pacific Octopus! 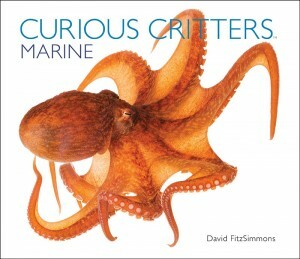 A delightful and educational book for kids with amazing illustrations! We received a copy of this book to review and even my 11-year old son loved it! He was especially happy to see that Horseshoe Crabs are in the book because it is so difficult to find amazing children’s marine books with even the mention of them. I recommend for children (and parents) of all ages! The illustrations are amazing and the educational information is superb! FitzSimmons is at the forefront of environmental education. He produces exquisitely-detailed, upclose photography of amazing animals that inhabit the Atlantic and Pacific Oceans, as well as the Gulf of Mexico. Through stunning photography, children go face-to-face with animals ranging from a spectacular spoonbill to an incredible blue lobster, from a tufted puffin to an upside-down jellyfish, and from a baby sea turtle to a giant Pacific octopus. This book really is a Must-Buy! Self Disclosure: I received a free copy of this book to facilitate this feature. Photo Credit: FitzSimmons. GoodBelly Tastes good and is good for you! GoodBelly Organic Tropical Green juice is packed with probiotics and good-for-you greens like spinach, alfalfa grass, spirulina, chlorella, oat grass and parsley – plus with the addition of tropical fruit like mango and banana it tastes absolutely delicious! 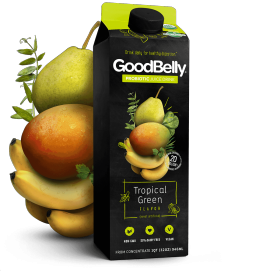 Non-GMO, dairy-free, soy-free and vegan like all other GoodBelly beverages, Tropical Green is made with the well-researched probiotic strain, LP299V to give you the digestive helpers you need! Drink straight out of the carton, blend into your favorite smoothie for a festive morning treat, or save it for a next-day reboot. Let’s all raise a glass (or stein) and cheers to luck and GoodHealth with GoodBelly! I received free coupons to try GoodBelly out for myself and I am really impressed! It is good for you, which I already knew but it also tastes good too! I was surprised how much I liked it! Self Disclosure: I received free coupons to try out GoodBelly. Photo Credit: GoodBelly. What does it take to make your dreams come true? Passion? Practice? A willingness to defy your natural duty? For one loveable dragon, all this and more! 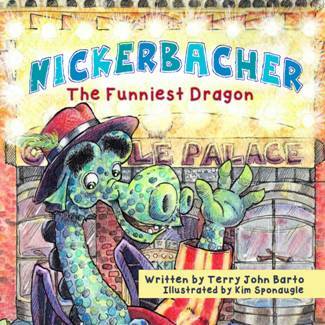 Come meet author Terry John Barto’s newest character inNickerbacher, The Funniest Dragon, a 34 page color illustrated book with an SRP of $15.15 breathing fun for children ages 5-8 available since March 23, 2015. Nickerbacher will also be available as an eBook with the download price of $3.99. We received a copy of this delightful book and I recommend for ages 4-8! It is a wonderful laugh out loud story with amazing illustrations! Younger children will love Nickerbacher! Nickerbacher, The Funniest Dragon is 34 pages and is available for a suggested retail price of $15.15. To order or for more information please visit http://nickerbacher.com. Nickerbacher, The Funniest Dragon is also for sale at www.amazon.com orwww.barnsandnoble.com and available for download as an eBook. Break out the swimsuit, coolers and … Cold-EEZE Cold Remedy? 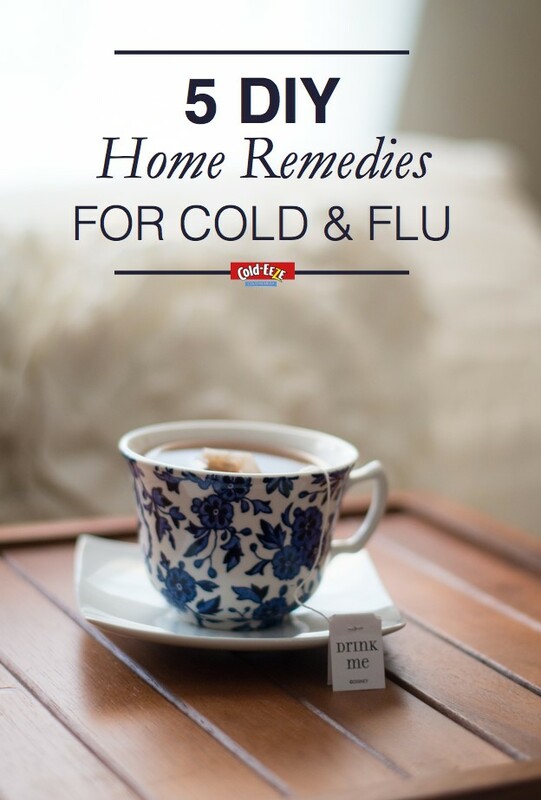 Bonus: Do-It-Yourself Home Cold Remedies Brought to you by: Cold-EEZE Cold Remedy! Colleges and universities all over the nation are either already on or about to go on Spring Break. But while “fun in the sun” may be the only thing on the mind of a college kid and catching a cold the furthest thing from it, it’s important to remember that we’re right at the peak of cold and flu season. I know this is true since the three members in my family have all come down with colds. Good thing that I just received Cold-EEZE to review! I still have my cold but I have to honestly say that the symptoms are so much more bearable. I have a feeling that this cold will be much more short-lived! You can nip your colds in the bud at the first sign of symptoms with Cold-EEZE Cold Remedy, formulated with zinc gluconate to help shorten the duration of the cold by nearly half. 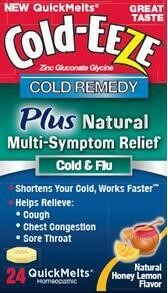 The new Cold-EEZE Cold Remedy Plus Natural Multi-Symptom Relief Cold & Flu QuickMelts is a great one to try because it helps treat both cold and flu symptoms like coughing, sore throat and chest congestion. I like this one because it has helped my throat and I am having less coughing. Thank you Cold-EEZE for these tips! Self Disclosure: I received free samples to facilitate this feature. 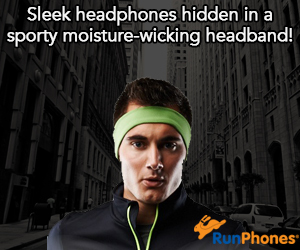 Tips provided by Cold-EEZE. Photo Credit: Cold-EEZE.